Paul Ohm is a Professor of Law at the Georgetown University Law Center. He specializes in information privacy, computer crime law, intellectual property, and criminal procedure. He teaches courses in all of these topics and more and he serves as a faculty director for the Center on Privacy and Technology at Georgetown. In his work, Professor Ohm tries to build new interdisciplinary bridges between law and computer science. Much of his scholarship focuses on how evolving technology disrupts individual privacy. His articleBroken Promises of Privacy: Responding to the Surprising Failure of Anonymization, 57 UCLA Law Review 1701, has sparked an international debate about the need to reshape dramatically the way we regulate privacy. He is commonly cited and quoted by news organizations including the New York Times, Wall Street Journal, and NPR. 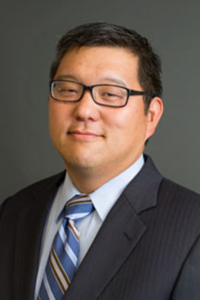 Professor Ohm began his academic career on the faculty of the University of Colorado Law School, where he also served as the Associate Dean for Academic Affairs and Faculty Director for the Silicon Flatirons Center. From 2012 to 2013, Professor Ohm served as Senior Policy Advisor to the Federal Trade Commission. Before becoming a professor, he served as an Honors Program trial attorney in the U.S. Department of Justice’s Computer Crime and Intellectual Property Section. Before that, he clerked for Judge Betty Fletcher of the United States Court of Appeals for the Ninth Circuit and Judge Mariana Pfaelzer of the United States District Court for the Central District of California. He is a graduate of the UCLA School of Law. Before attending law school, Professor Ohm worked for several years as a computer programmer and network systems administrator after earning undergraduate degrees in computer science and electrical engineering from Yale University. Today he continues to write thousands of lines of python and perl code each year. Professor Ohm blogs at Freedom to Tinker. Professor Ohm writes at the intersection of computer science and law, attempting to bridge the two disciplines with rigor. Broken Promises of Privacy: Responding to the Surprising Failure of Anonymization: Arguing that the newly revealed power of reidentification and failure of anonymization should calls into question key tenants of modern information privacy law. ISP Surveillance: Arguing that there is no greater threat to privacy in society than the ISP. Justification Standards: Pointing out the flawed belief in the differences between probable cause and reasonable suspicion. The Path of Internet Law: Calling for recognition of a new sub-discipline of legal scholarship focusing on the Internet as a dynamic subject and incorporating cutting-edge engineering principles. Software Regulation Clearing House: Building a web-accessible, searchable database of Federal, State, and International laws and regulations that regulate software development. Case Law Natural Language Processing: Using machine learning techniques to analyze case law. Network Measurement Research Privacy Project: Working with Computer Science network researchers to develop rules, technologies, guidance, and processes to better protect the privacy of their research subjects. Professor Ohm has taught courses in Criminal Procedure, Introduction to Intellectual Property, Copyright, Information Privacy, Quantitative Methods and Computer Crime. Paul Ohm, Jennifer Daskal & Pierre de Vries, Debate: We Need to Protect Strong National Borders on the Internet, 17 Colo. Tech. L.J. 13-35 (2018). Paul Ohm & Jonathan Frankle, Desirable Inefficiency, 70 Fla. L. Rev. 777-838 (2018). Paul Ohm, Forthright Code, 56 Hous. L. Rev. 471-504 (2018). Paul Ohm, Regulating at Scale, 2 Geo. L. Tech. Rev. 546-556 (2018). Paul Ohm, An Argument for the Coherence of Privacy Law, JOTWELL, May 22, 2018 (reviewing William McGeveran, Privacy and Data Protection Law (2016)). "What law is Julian Assange accused of breaking?," coverage by The Washington Post, April 11, 2019, quoting Professor Paul Ohm. "Lawmakers want to ban ‘dark patterns,’ the Web designs tech companies use to manipulate you," coverage by The Washington Post, April 9, 2019, quoting Professor Paul Ohm. "Facebook criminal probe could spur 'even more embarrassing disclosures': cyberlaw expert," coverage by Yahoo Finance, March 14, 2019, mentioning Professor of Law Paul Ohm. "Ensuring wellbeing: UMN program lowers costs for healthy choices," coverage by the Minnesota Daily, March 14, 2019, quoting Professor of Law Paul Ohm.